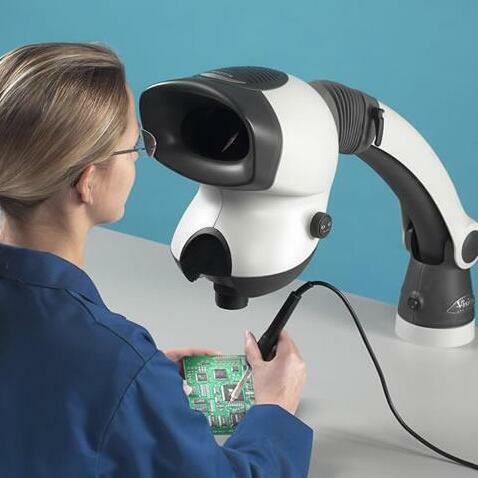 Machine vision is one of the fastest growing sectors of manufacturing. Market drivers behind this growth include the need to integrate vision with the industrial internet of things. This has encouraged the development of new vision techniques that are creating exciting new opportunities for business,Said by John Morse,Senior Market Analyst. Have you ever had to describe machine vision to someone who is completely outside of the market? It can be a bit difficult. When talking about a new science technology, we need professional helps to clear our doubts. Some of these topics include deep learning and artificial intelligence, hyper-spectral imaging, and embedded vision. General speaking, we can learn some information about machine vision through these aspects. That’s a robot, people will say. Traditionally, we cultivate professional quality control staff to inspect products. While human inspection is usually influenced by personal minds, labor exhausting or mistakes, robot can replace human check and eliminate human mistakes. Therefore, a machine vision inspector robot can improve production yields, enhance quality efficiency as well as increasing business. A machine vision inspection equipment is mainly composed by the vibration feeder, the hopper, the light source, the inspection glass plate, the qualified and unqualified blanking conveyor, the readable computer operating system and etc. Customers will provide samples to be inspected, then a solution will be designed accordingly. Usually, a machine vision measure machine can be customized as required. With fast development of machine vision technology, the automatic function of the equipment will be regarded the robot as another name of vision inspection machine. As a professional machine vision researching and developing company, Shenzhen Sipotek Technology Co., Ltd has accumulated a long term experience in machine vision technology. With deep learning and self-develop vision software system in this field and cooperation with many well-known enterprises, it has become mutual in making inspection solutions and vision system design. Since its establishment 15 years ago, Shenzhen Sipotek Technology Co., Ltd. has been committed to the research, development and manufacturing of image technology and machine vision, with more than 70 senior R&D personnel of machine vision system and industrial automation engineers. The company’s key technical personnel are mainly from huawei, byd, foxconn and other first-class manufacturing enterprises, with many years of mature experience in software design, visual and image comparison technology, industrial automation and other aspects.